Prefab is everywhere, folks. Designers across the globe are putting their best ideas to the test in hopes of solving one of the construction industry’s most unsolvable building typologies. I’m not saying the Pod Idladla by Clara da Cruz Almeida does everything we hope prefab will eventually do, but it is definitely a step in the right direction. 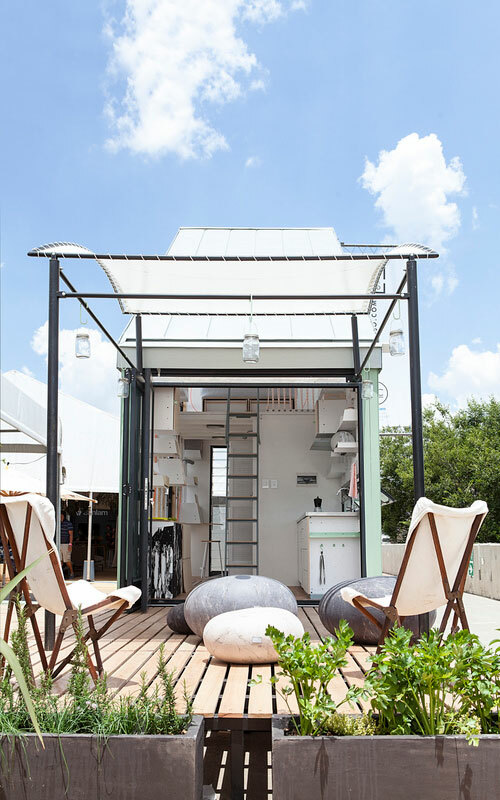 This tiny pod is a modular, customizable, affordable dwelling option being manufactured and erected in South Africa – and it is awesome. Buyers can start with as few as one pod, or as many as they can imagine up ways to use them with. 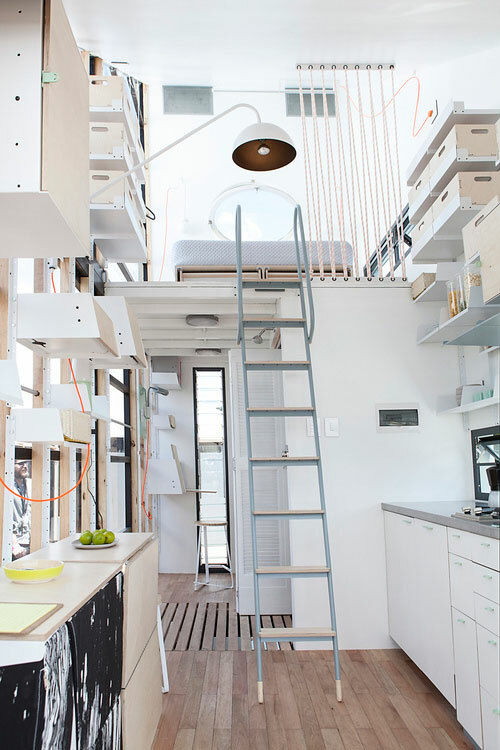 A single pod consists of a 17 square meter living space, which by itself has all the amenities and functions required to live a semi-normal everyday life. I say “semi,” because there is little else normal about the Pod Idlalda. A step shed roof provides interiors with a bit more headroom, and enough space for a lofted sleeping area that looks down on the more public living spaces. Each Pod is clad in a mixture of horizontal metal panels and fiber-cement siding – inexpensive and abundant materials that look great when smartly applied. An optional canvas awning and deck area expand the interior space and give the exterior a more whimsical aesthetic quality. The front door is a glazed accordion door that allows the facade to open up completely, allowing the interiors to feel much less claustrophobic. 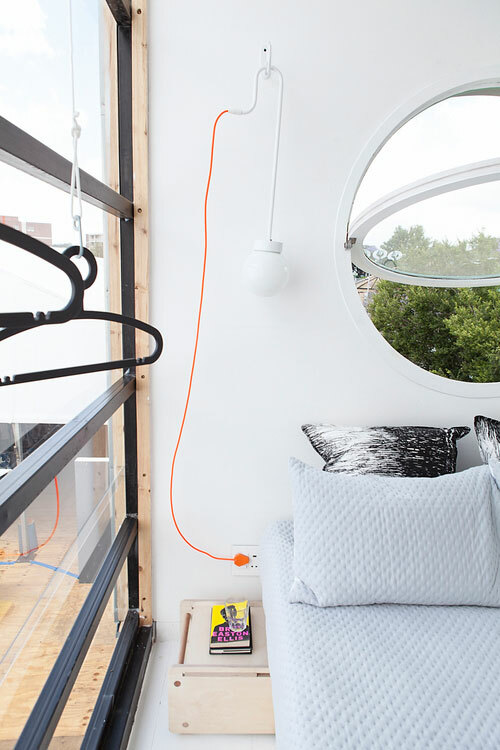 It’s design choices like these that are absolutely necessary to make the Pod feel big enough to live comfortable. Not a square inch of space is unused on the interior. In fact, many of those square inches are pulling double and triple duty in order to cram as much functional space into the Pod as possible. Modular shelving systems flank each side wall, allowing the inhabitants to mold the use of each node to their personal need. A small but utilitarian kitchenette has a sink, two-burner stove top and just enough storage to tie everything together. Walk past the ladder that takes you up to the sleeping loft and you’ll find a full bathroom any sea captain would be proud of. 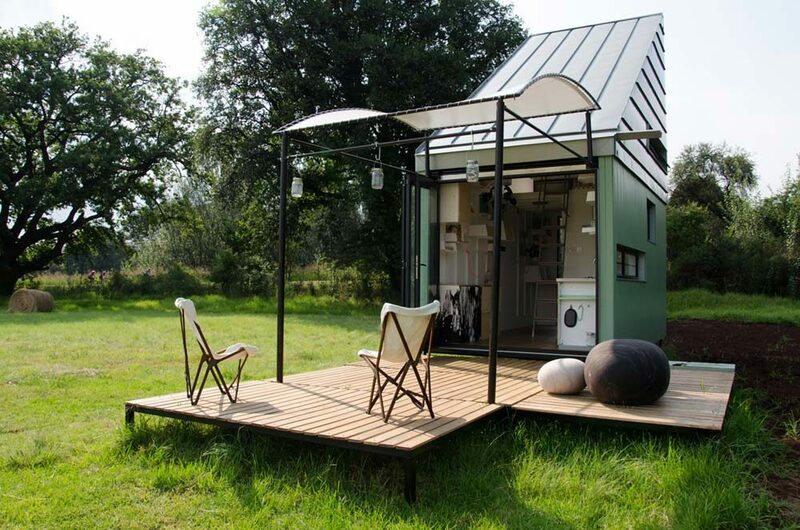 The Pod Idlalda gives prefabricated, modular construction a good name. There are a lot of people trying their hand in it these days, but I’ve scarcely seen such an applause-worthy effort that is affordable, functional, and aesthetically stunning. 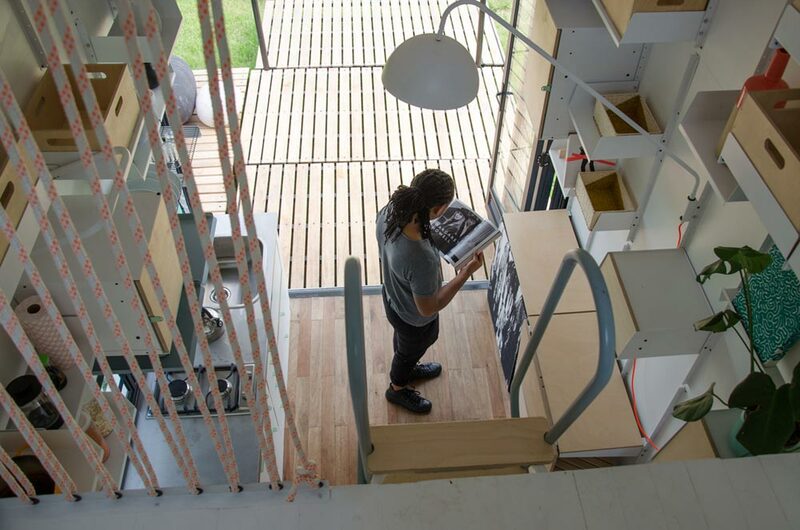 It checks all the boxes that are needed to push prefab towards the mainstream, and with housing becoming more and more of a global crisis, it’s refreshing to see some people out there doing it right.